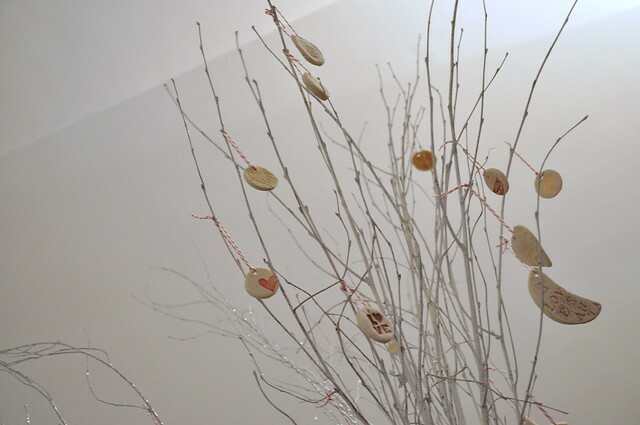 We decided not to buy a Christmas tree this year but to come up with an alternative. And this is what our alternative tree looks like: white semi-sparkly (semi because about 50% of the sparkles rubbed off already, but wiping down sparkles is nothing compared to cleaning up pine needles...) branches picture (store bought, which is silly, I know, but we have no garden and I can't myself running through Paris with pruning shears without getting myself into trouble). 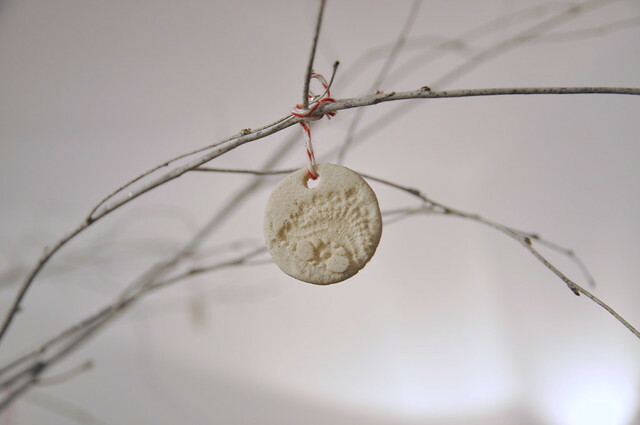 We decorated our branches with homemade salt dough ornaments. 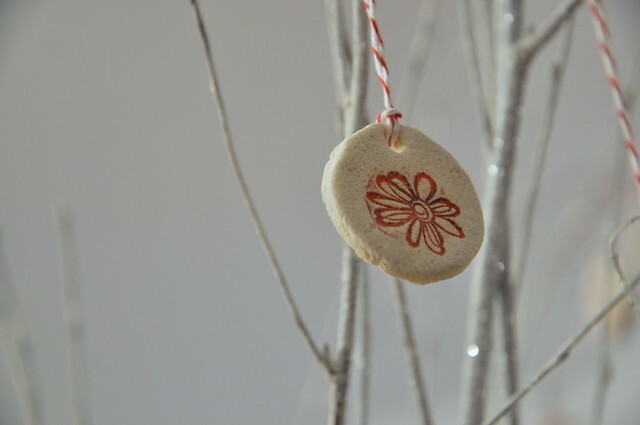 The idea for the salt dough ornaments I got here. They were fun to make and cost next to nothing. 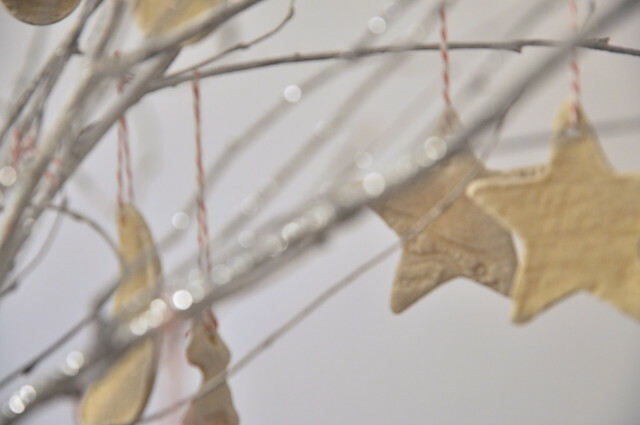 A fun detail: we only had organic flour, which makes these ornaments totally ORGANIC! How about that?! 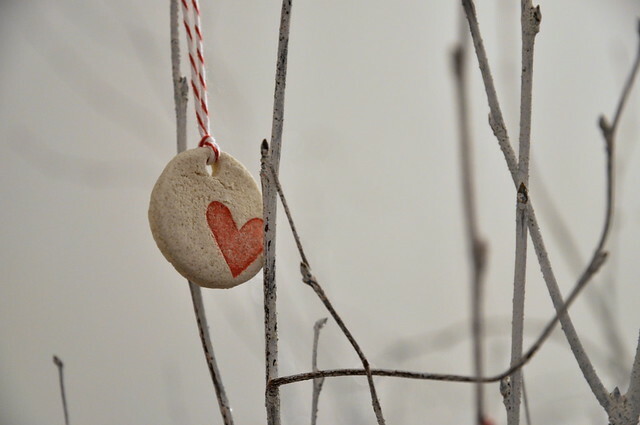 We used cookie cutters, red inked stamps and lace for the decoration of the ornaments and my favorite divine baker's twine for hanging them.